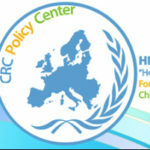 Tania Masia is a psychotherapist working as the Children’s House Coordinator at “Hope for Children” CRC Policy Center where she is responsible for the day-to-day operation of services provided for children sexual abuse cases. 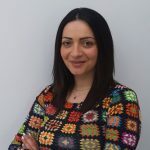 She graduated from Aristotle University Thessaloniki as a Psychologist and then she gained her Master in Psychotherapy at University of Kent. She was trained in Group Psychotherapy for 2 years while she was undertaking personal therapy and supervision. Today, Tania continues to training, following professional education in Systemic Psychotherapy and Counselling. During her practicum, Tania has worked as co-instructor in a group, while she has worked in Mesogeios, Veresie’s Clinic with groups with depression and drug or alcohol addictions. She was practicing psychotherapy in St. Martins Hospital at NHS with people suffering from schizophrenia, bipolar disorder and depression and she has worked as a Counselor at Frederick University and as a trainee-psychologist at AHEPA (University General Hospital Thessaloniki) following up patients with various neurological diseases. She specializes in supporting children and their families using the systemic therapy approach. She has worked as a private practitioner with people dealing with various symptoms. She has also been working as the Psychology Department Coordinator at “Hope for Children” CRC Policy Center where she was responsible for the supervision of psychologists and other staff members working at the organization. During this role, she had been providing psychological support to the shelter’s residents and other cases referred to the organization. She was handling bullying and school violence issues by delivering workshops to children and lectures to teachers and parents while she has also trained and supervised a series of professionals working with unaccompanied minors. Furthermore, Tania was instructing groups of children to empower their self-esteem and life skills through the Manadoob Program for Self-Esteem, that she is certified.